Hip-Hop has grown tremendously since it’s origin in the Bronx, NY. Once viewed as a craft for the rebellious, Hip-Hop as an art-form can now be found gracing the stages of Broadway as the choice mode of communication for the nations hottest act, Hamilton. This growth in subject matter has allowed Hip-Hop, this revered form of storytelling, to bring to life all sorts of experiences. One group poised to capitalize on such inclusion is Tommy Boy’s recording group Pants Velour. The recording group based out of New York City, captures the young professional spirit through rhythmic flows, boisterous vocals and captivating subject matter as the group tackles today’s latest water cooler subjects. The group has performed alongside the likes of Talib Kweli, Flo Bots, Antipop Consortium, and Mobb Deep. The group has also been featured in USA Today, The Washington Post, and local New York news. Headlined by emcee’s Josh Raff, Eli Northrup, and lead vocalist Niki Darling, the group puts on an incredible live show. 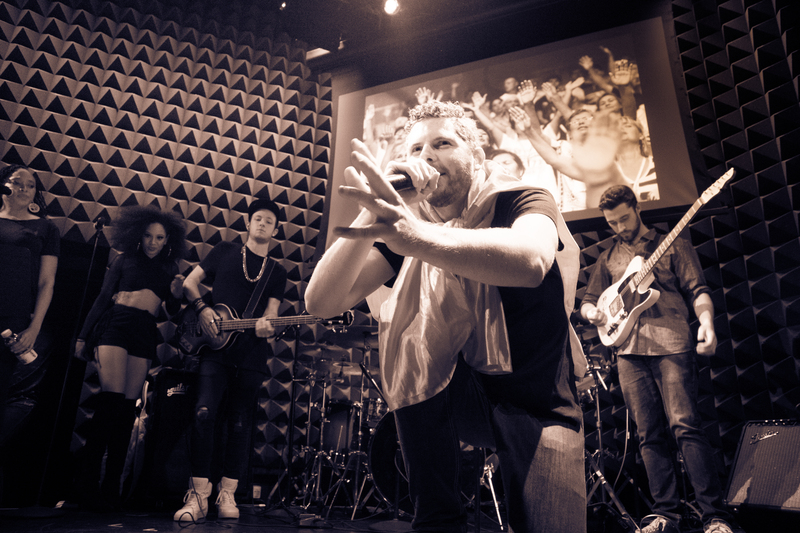 I was able to catch one of their performances during a residency at the renown Joe’s Pub and was thoroughly impressed. The live band that accompanies the the trio set the tone with one soulful set after another. In today’s auto-tune saturated music scene it was refreshing to hear a sound that mirrors it’s studio counterpart. With the tone set, the group takes you on an entertaining journey through their experiences, some fiction and some non-fiction, as ambitious young professionals in the concrete jungle. Check out the exclusive New York Life Magazine interview with Pants Velour as NYLM’s editor-at-large Farnold Degand caught up with the group backstage.